It really is an easy process to get a permit for these beaches, and some don’t require one. They all have their own set of rules, so make sure the beach you choose fits what you are looking for. I find that the towns are very helpful and will walk you through the simple process of reserving your date. *These are the beach rules as they are now. I have provided the current phone numbers for you to call and verify the information. Any of these rules could have changed at the last town meeting-so yes, you must call and get permission. You should also make sure that another event such as a fishing or surfing contest, boat races, festivals or something else, is not being held on the same beach, the same day, that you are planning your ceremony. Beach rules you need verify- Do they allow alcohol, food, tents, arches or other decorations? If you use rose petals they must be real (otherwise it’s littering) some beaches & parks do not allow chairs to be set up. You must check with the town to verify their rules. If you book with me I offer to put up my tiki torches and a star fish aisle. Some beaches have restricted areas for nesting turtles-Observe all rules. Stay off of dunes. Leave the beach nicer than when you found it! Remember to always have a backup location in case of inclement weather. 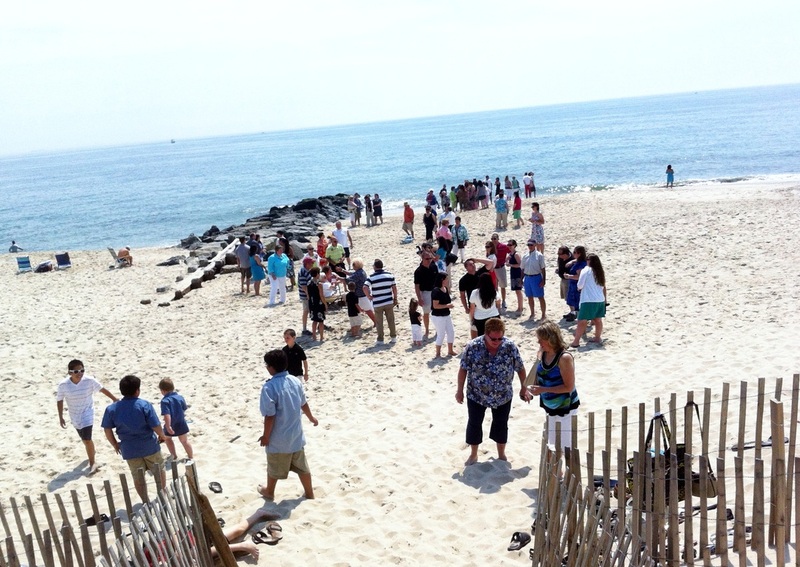 Bay Head- Usual rules are: Between Memorial Day and Labor Day beaches are free before 9:30 am and after 6:00 pm. Off season any time. They usually allow chairs. Call for verbal permission from BHIA (Bay Head Improvement Association) 732-892-4179 *Bay Head has a small beach front so I do not advise weddings during high tide. Spring Lake- Starting November 2018 weddings will not be allowed on Spring Lake Beaches. 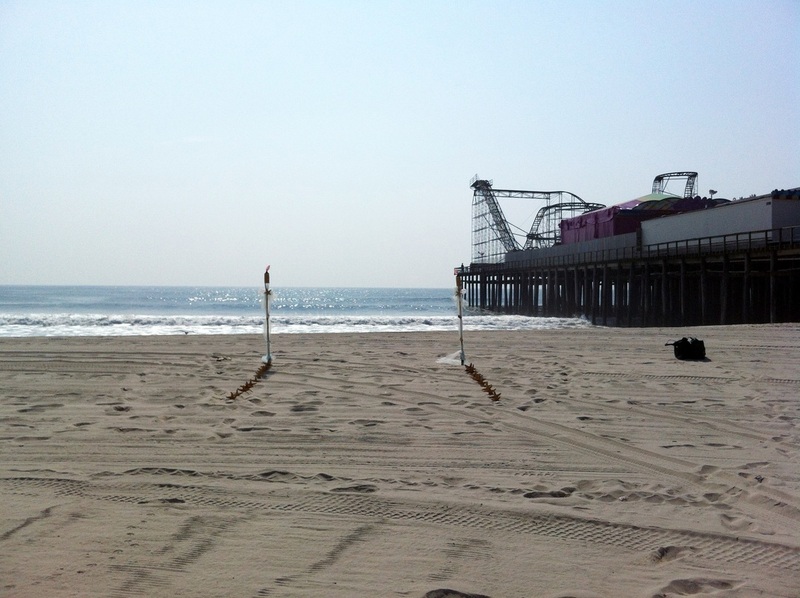 Seaside Heights- Usually between Memorial Day and Labor Day beaches are free before 9:30 am and after 6:00 pm. Off season any time. You must call the town for permissions; Telephone: 732-793-9100 they will let the boardwalk workers know. Belmar- As of Jan 2017 You must fill out and submit a Special Events Application. The application fee is $100 (*Note, the application states that you need $1,000,000.00 liability insurance however this does not apply to wedding ceremonies. It also states application must be received 90 days in advance but they have made exceptions for weddings). They do allow chairs and decorations to be set up. 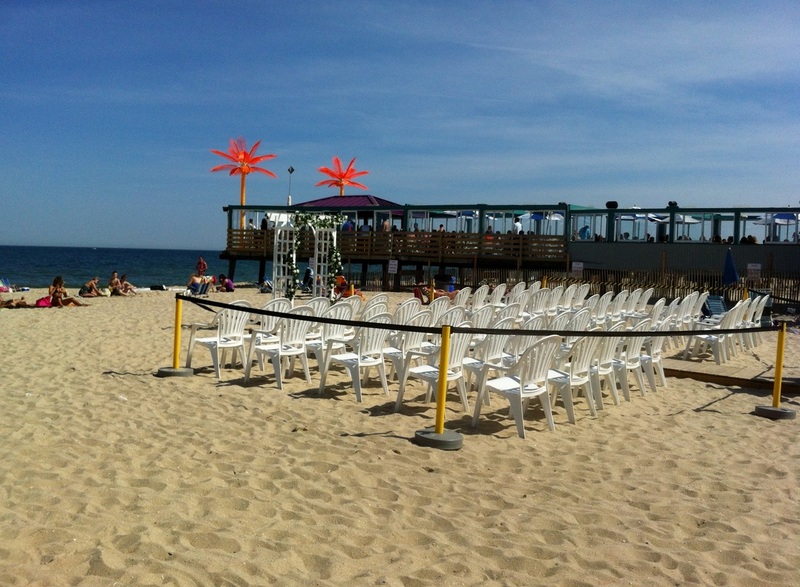 If you are holding your ceremony in season (Between Memorial Day and Labor Day) before 9:00am and after 6:00pm there are no additional fees.If you hold your ceremony during the day when badge checkers and life guards are present, your guests will have to purchase beach badges. 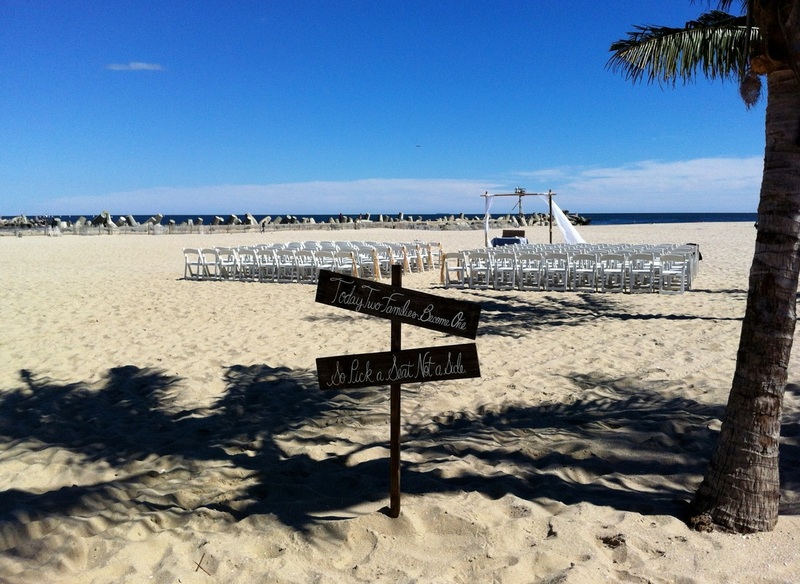 Off season you may hold your ceremony anytime with no additional fees. For more information call Mary at 732-681-3700 ext. 214. Bradley Beach -. Usually between Memorial Day and Labor Day most beaches are free before 9:30 am and after 6:00 pm. You must call the town for permission 732 776-2983 Depending on the date, amount of guests etc.. you may have to fill out an application to be reviewed by town council. Martell’s tiki bar is also great! Call Marrisa at 732-892-0131. I also recommend ﻿Arugala ﻿at The Whitesands Resort. Here are two of his listings however he may have more as his inventory is always changing. ﻿Great Lawn Pavilion in Long Branch﻿:﻿ 732-571-6545 Permit is required. 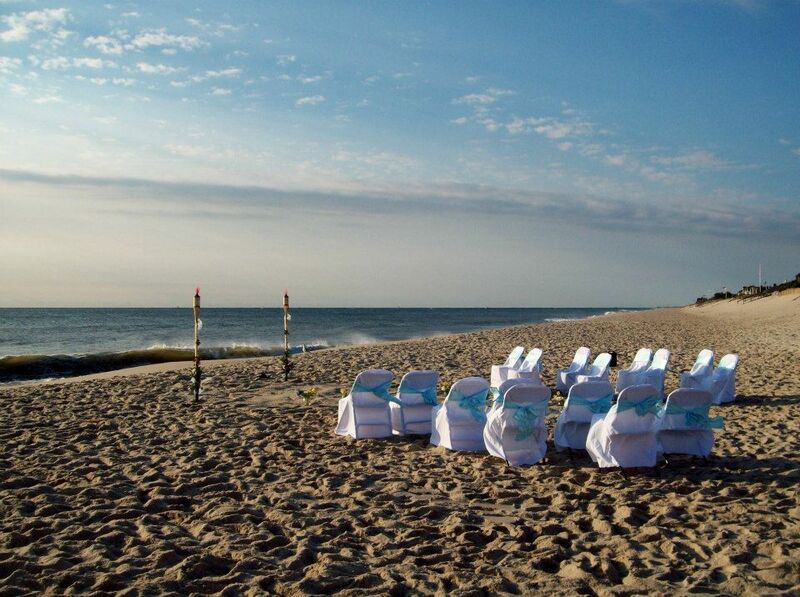 Seven Presidents Beach in Eatontown, as well as all other locations that are part of Monmouth County Park Systems call Diane Stasik at 732-842-400 ext 4382 See their special site with info for all the park and beach wedding locations in Monmouth County!